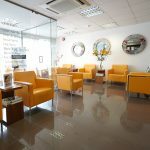 The Chiltern Medical Clinic is run by Dr Niall Munnelly and his supportive team consisting of highly experienced medical aesthetic doctors, surgeons, nurses and laser therapists. 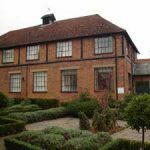 We have two clinics, located in Goring-on-Thames and Reading that are both modern and friendly aesthetics clinics and regulated by the Care Quality Commission. They deliver a number of cutting-edge treatments that can only be offered by a registered doctor. All of our treatments are suitable for both men and women alike. We love what we do and we’re confident that you will love what we do too. We offer a free no-obligation consultation for certain treatments so that you can come in and meet us, ask plenty of questions about your treatment options, and find out more about how we operate. We have extensive experience and the latest technology for laser hair removal. Many of us attempt to lead fairly healthy and active lives in a bid to improve our physical appearance. Yet, you may be one out of many who just can’t seem to budge specific areas of fat! Diet and exercise alone hasn’t had a significate impact so, where do you start? The Chiltern Medical Clinic uses the VASER Lipo procedure as the answer! Are you unhappy with the shape or definition of your lips? Have you noticed your lips losing volume as you grow older and feel that they’re giving away your age? Perhaps you have noticeable smokers’ lines that make you feel dissatisfied with your appearance? Are your eyelids beginning to obscure your vision, making you feel dissatisfied with your appearance? Unfortunately, eyelids are the often the first signs of ageing, losing their elasticity resulting in sagging wrinkled skin. Dr. Annette Bacon performs eyelid surgery- also known as blepharoplasty – to restore a fresher and more youthful appearance. Are your leg veins causing you significant discomfort or stopping you from revealing your legs? Approximately 1 in 3 women are affected by leg veins, however men can also be sufferers. At the Chiltern Medical Clinic, leg vein treatments – including venous ulceration – are administered by Dr. Stephen Tristram, who is an Associate Specialist in Vascular Surgery. Have you noticed your cheeks losing volume or dark hollows developing below your eyes? Perhaps you have deep lines extending from the corners of your nose and/or mouth that are making you look tired and unhappy? Frown lines and crow’s feet are the tell-tale signs of ageing and can have a rigorous effect on your self-esteem. We have a range of facial skin fillers and treatments can all help restore lost volume and add youthful definition to your face. You don’t have to live with a tattoo you regret. At the Chiltern Medical Clinic, our state of the art lasers will ensure your inking is removed safely and effectively. A Chiltern Medical Clinic gift voucher is the perfect gift for all occasions.